I wanted to have left this for the July 4 (not the day of independence or bad movies of Martians), but the photo of the Juno probe to Jupiter approaching deserves a small entrance. If colleagues, on July 4 the Juno probe nasa, launched on August 5, 2011, came to Jupiter to do something that was expected long time, study the atmosphere of Jupiter. Jupiter is the largest planet in our solar system, a much larger gas giant which weigh other planets combined (I do not remember how, sorry) and whose main characteristic is its atmosphere because it is thought to be a gaseous planet ( we that is practically gas with a very small core, but massive). I will not give the sheet about Jupiter because I think I did already, and if not, you ask me. The specialty of the probe is not only register their atmosphere (for which, the brush against at least the upper layers) but also something that is as important as the composition, shape and winds of it, magnetosphere. As you comment, Jupiter’s magnetosphere is huge, reaches Saturn, which makes him, apart from its tremendous gravity, the natural deflector of our solar system (and Earth) against external agents. While the magnetosphere of our Sun, which is huge not following its heliosphere with heliopause has been protecting us from 5 billion years of crap from outer space and its wonderful gamma rays that we Freirian alive (to life ago , come on), which escapes this great shield have to Jupiter to “second base”. Jupiter’s magnetosphere barrier also makes the gamma rays passing the heliosphere (well, our magnetosphere is the last redoubt and also does). Juno also be devoted to measure and photograph what I explained the other day, as the Jovian auroras is provided with a specific device for this purpose, an infrared mapper. Will measure the temperature thereof, while measuring the magnetic field, which will give us a lot of information on the power of Jupiter as … almost sun planet. Emphasize also that Juno takes a very accurate way to measure gravity through radio wave instrument (as soon as the radio waves in the rebound to bend, known as they have been “drawn” and therefore how much gravity there, we Doppler effect of life) with the expected relative success to measure the density of the core and therefore its composition. Obviously, it carries optical cameras because dumb people need to “see with their eyes” to inquire a little science, JunoCam call. What few people know is that this element has been precisely in the probe for advertising purposes since the magnetism of Jupiter and passes through the atmosphere during the orbits they will burst soon after arriving. It is estimated that this operating no more than 11 days after the meeting. 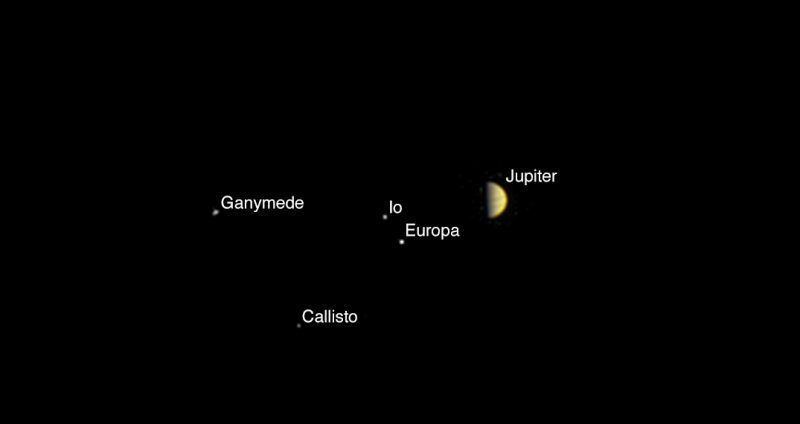 Even with this, that does not mean that we can enjoy beautiful images of Jupiter and its satellites (moons) while arrives.